We provide complete type-tested distribution boards designed and maunfacured as per IEC 61439-3 used for distributing electrical power to the final circuit . lRaysan DBs are suitable for residential, commercial, and semilar application up to 400 A , for indoor and outdoor applications . its ensure consistent and effective protection against short circuits and overload. We provide wide range of eRCBO circuit breakers (Residual Breaker with integral Overcurrent protection) from 6-63A with 30, 100mA sensitivity, these breakers are manufactured to provide protection against overcurrents, earthleakage and elecric shock. We provide type-tested distribution boards designed and maunfacured as per IEC 61439-3 used for distributing electrical power to the final circuits in Hotel room applications whic is connected via card switch for ebnergy saving solutions . These DBs avialable with Main breaker up to 40A and ensure consistent and effective protection against short circuits and overload. We are manufacturing the metal boxes in a variety of sizes and specifications(72 x 72mm, 72 x 132mm) . Each of these products is made out of durable materials - Hot-dipped galvanized steel, making them an ideal choice for outdoor use or in industrial environments. Alfanar is one of the major players in manufacturing electrical construction products, EPC solutions for conventional and renewable power projects, allied engineering services and design engineering, operating several electrical industries around the world, including Riyadh, Jubail (Saudi Arabia), Dubai (UAE), Chennai (India), Ankara (Turkey), London (UK), Frankfurt (Germany), Ascoli Piceno (Italy) and Bilbao (Spain). 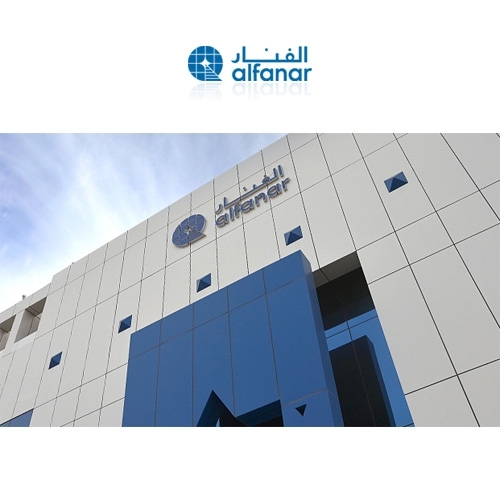 Alfanar electric is the industrial arm of alfanar, manufacturing a variety of low, medium and high voltage electrical construction products to cater to the local and international demand. Alfanars strength lies in fulfilling commitments and the ability to deliver a high quality products & projects at a high pace to the complete satisfaction of the clients.